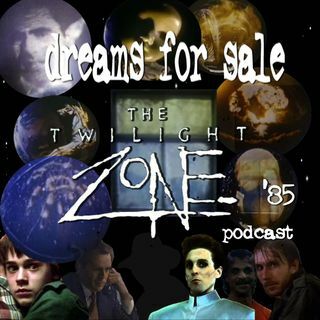 Dreams for Sale focuses on the revival of Rod Serling's The Twilight Zone in the mid-'80s. This anthology show brought together a host of diverse talent including Harlan Ellison, Wes Craven, William Friedkin, Rockne S. O'Bannon, and more. Episodes are hosted by Chris Stachiw (Kulture Shocked), Mike White (The Projection Booth), and Father Malone.